Back in June, some folks understandably just did not want to say goodbye to their beloved school for the summer season. And others, who’ve been away for a while, jumped at an opportunity to spend time on campus again, creating oodles of fun for both campers and themselves throughout the hot and hazy days of sumer. A few members of the class of ’15 opted to prolong their time at Beaver. And where else would a recent grad go but the pool? Jaqui Gutman, Grady Newberg, and Noah Post Hyatt have been lifeguarding as part of the confident aquatics staff. 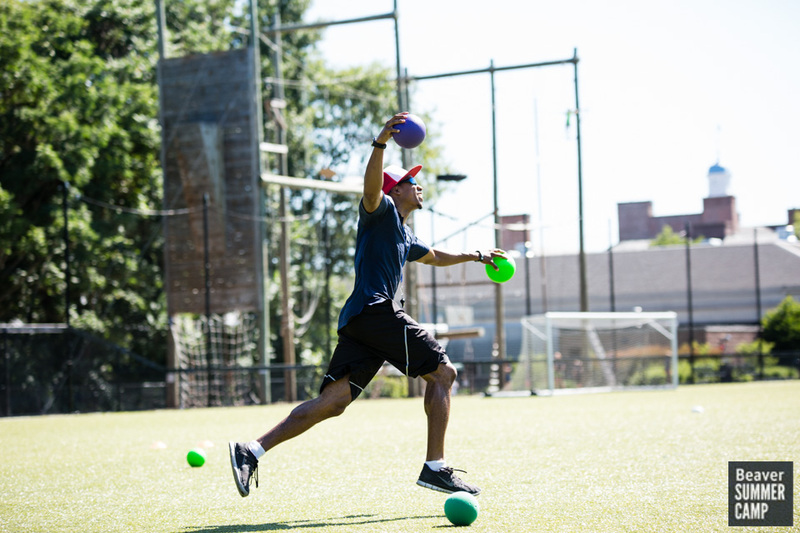 Enthusiastic and patient Sam Radin returned for a second summer as Middle Camp counselor. And Nat Brown, this year’s all-school president and former camper and CIT himself, has been having a blast with Upper Campers before heading north to Maine for college in a few weeks. 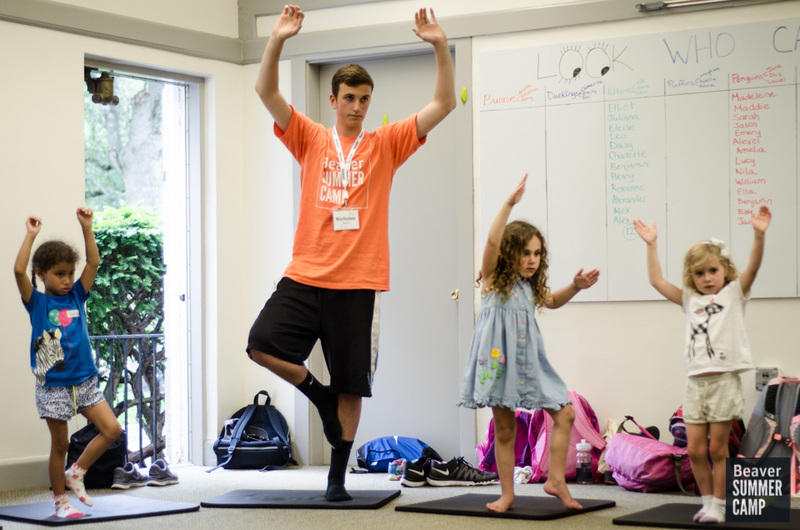 Several patient and nurturing upper schoolers have been lovingly caring for and entertaining the three, four and five-year-olds this summer. 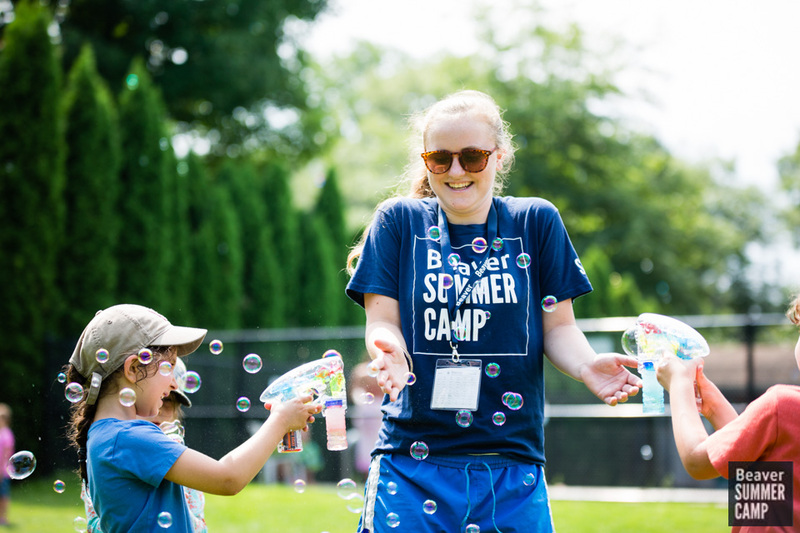 If you’ve been on campus, you may have seen Oona Sullivan (’17) warmly greeting Lower Campers in the front circle in the morning or Liv Brooks (’17) singing favorite camp hits in the halls with the adorable little ones. 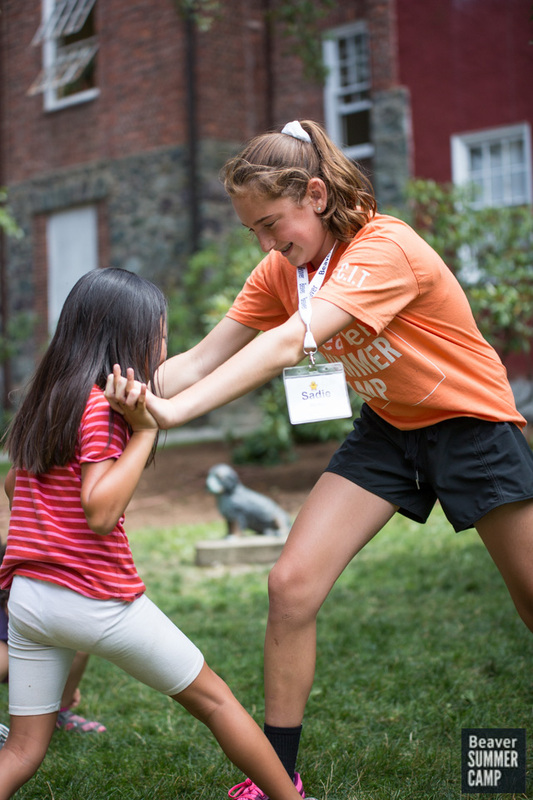 Or you may have observed Laurel Sullivan (’16) animatedly playing board games in the dining hall with early campers or Sydney Brown (’17) giving a young one a hand, always with a smile. 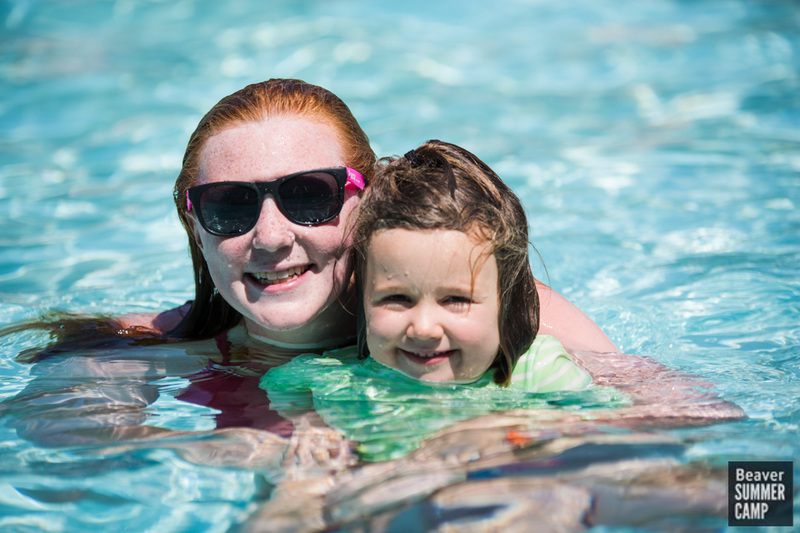 If you’ve been out by the pool, you may have seen Justine Hatten (’16) expertly giving swim lessons as lifeguard. In addition, some alums happily returned to Beaver – and in the process, got a chance to reconnect with their alma mater in a different light, as well as with former teachers and friends. 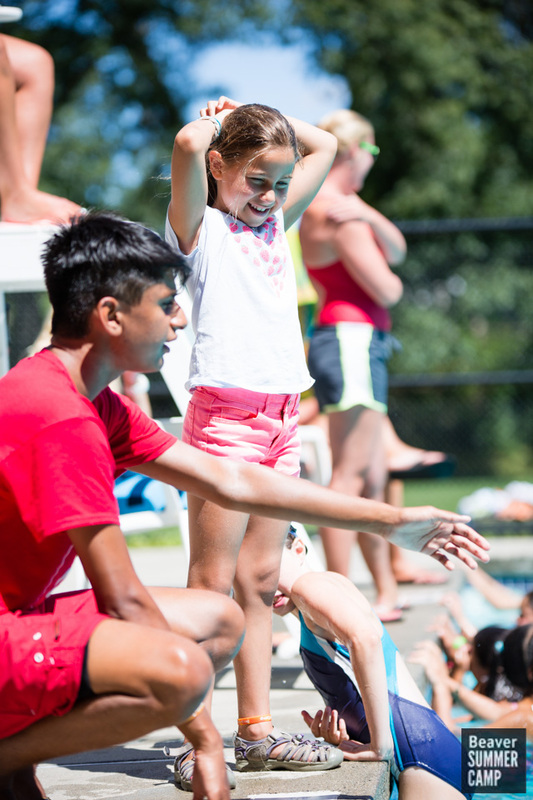 Zoe Sarason (’13) and Arjun Bakshi (’14) have been guarding lives out at the pool. Sammy White (’14) has cherished her time with the spunky Upper Campers as counselor. 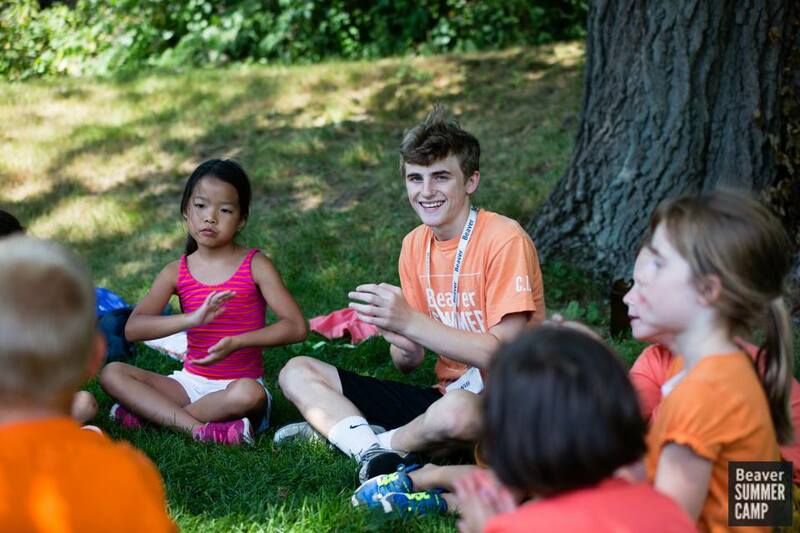 Devin Friedfertig (’13) is spending his first – but not his last – summer at Beaver in Middle Camp. 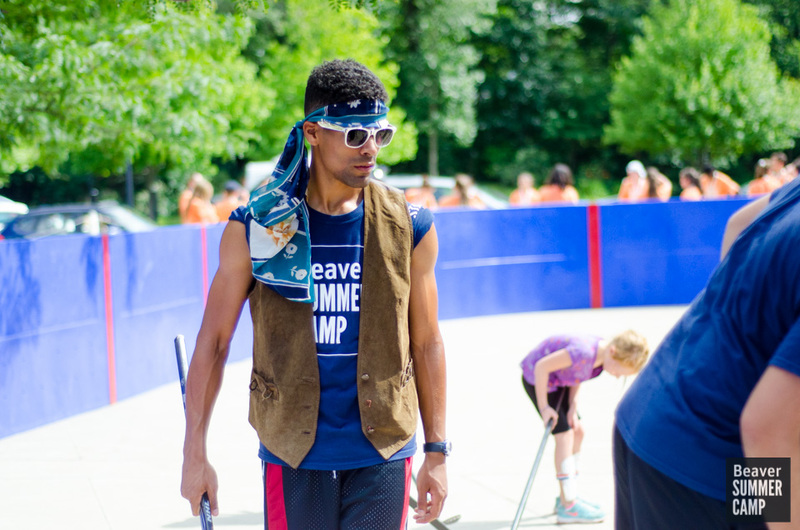 Michael Manning (’09) couldn’t imagine spending his summers anywhere other than Middle Camp at Beaver, and Steven Robinson (’09) keeps campers entertained and busy through extended day hours every day. 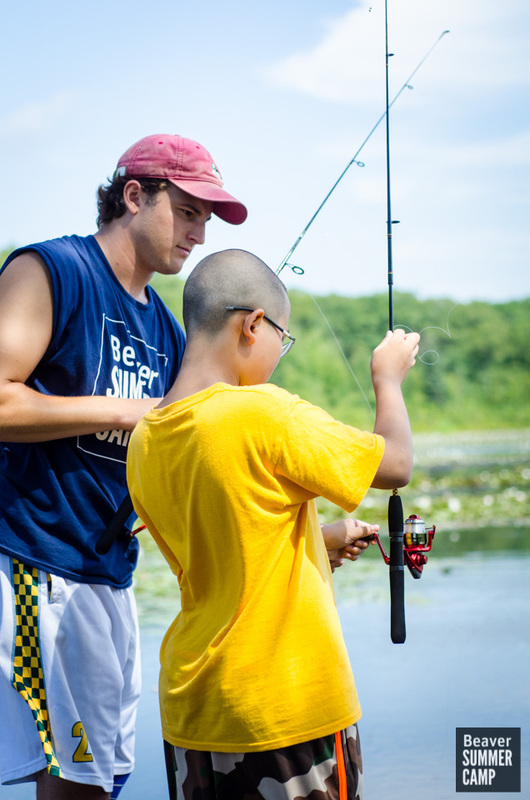 Kyle Proman (’11) is enjoying cool electives like fishing with Senior Campers, and Will Harrington (’12) treasures his time in the woodshop as specialist. 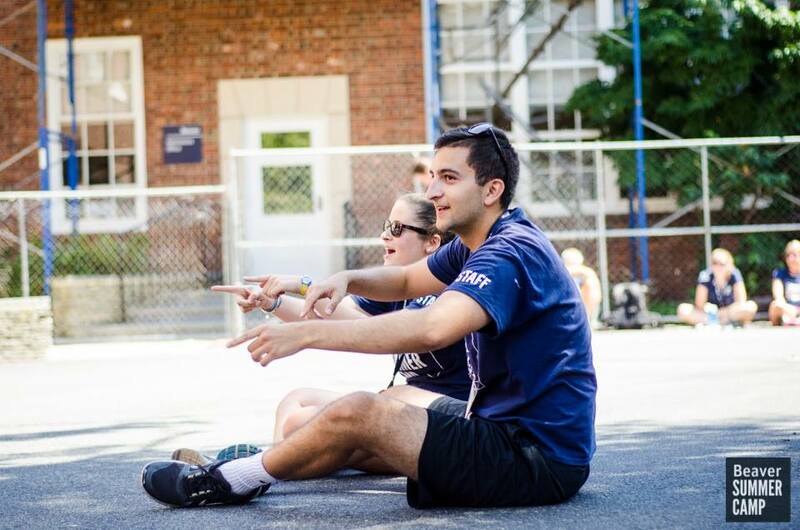 Let’s not forget about those important CITs! Of the two groups of approximately thirty counselors-in-training, several are Beaver middle and upper schoolers. Preparing for jobs as counselors or lifeguards this summer are Will Brown (’19), Nick Caruso (’19) Jacob Florence (’19), Sadie Winton (’20), Grace Saltonstall (’19), Seamus Buckley (’19), and Jill Kirson (’18). Teachers, too, were eager to be a part of this fantastic summer program! Larry MacKinney (’92), who has been a longtime Beaver teacher AND alum, has been the camp’s aquatics director for many years. Science teacher Jon Butler loves his job as woodshop specialist. Chris Lamar became Sports Director this summer, and Jen Yolles inspired campers again this summer as Drama Specialist. And during that crazy first week of camp when we were waiting for the local public schools to make up their snow days, many Beaver teachers pitched in as subs in various camp positions. They all greatly enjoyed their time with campers and repeatedly reflected on what a wonderful camp Beaver is! Thanks, Amy Winston, Lisa Brown, Tara Paulauskas. Tommy Manning, Michelle Langwieder, Lesley Colognesi, Alison Livingston, and Amber Kuntz. We hope to see you back again next year! What a fantastic group of Beaver devotees, who clearly believe in this institution, all four seasons!